Turn right onto the Craigieburn Environmental Education Centre road (gravel). This pleasant walk through mountain beech forest begins at the Centre. You can have a close look at the different stages of beech tree life, and what grows on the trees - lichens, mosses and a small insect which secretes honey dew ( a small droplet of sweet liquid that birds feed on). 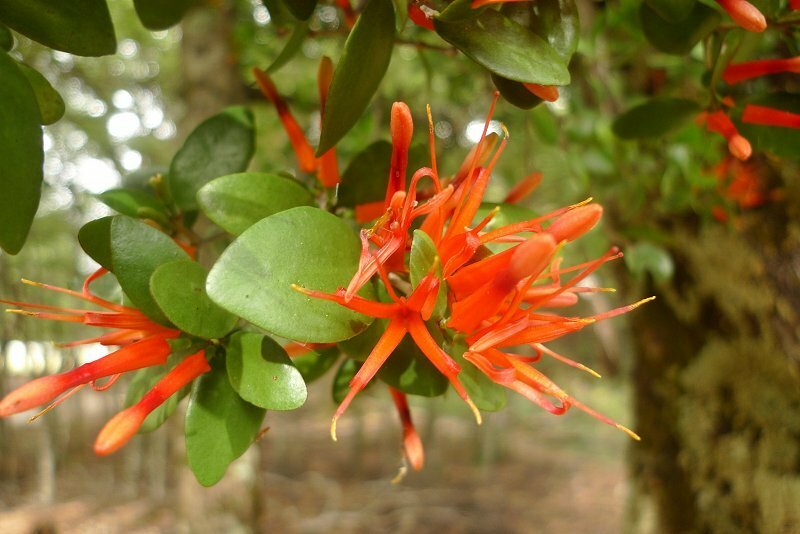 Between late December to february the red flowers of the native mistletoe can produce patches of blazing colour in the tree canopy. Common native birds living in this area are Rifleman, Bellbird, Tomtit and Graywarbler.